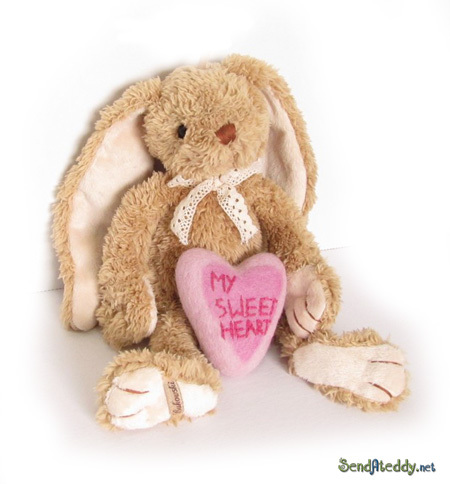 Barbara Bukowski started in 1990 with designing teddy bears and rabbits to both of her sons, and these early pioneers are to this day still hugged and loved! She gathered inspiration from older German and English models that, among others, where designed by Margareta Steiff. The first time she exhibited her creations was in a small fair in Sollentuna. At this point success was still largely uncertain but the products that she showed drew more attention than any other! Upon receiving this spectacular confirmation that there indeed was a large interest for her designed teddy bears Barbara Bukowski gave it her all to create and establish Bukowski Design AB as one of the leading producers of soft toys in Scandinavia. The success of Bukowski's Teddy Bears can only be explained by their unique design and the thought process that goes into every product. 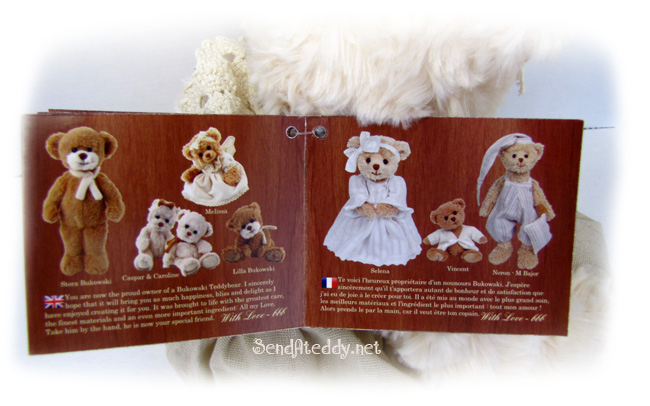 Each teddy bear is based on a real human being, which makes them all that much more lifelike. 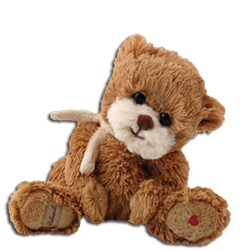 Non-allergic & Non-toxic Teddy Bears!